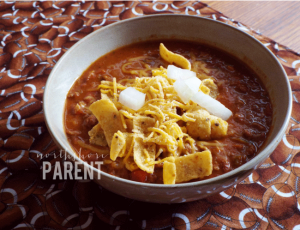 You can’t go wrong with a big ole pot of chili like this from our sister site Northshore Parent. 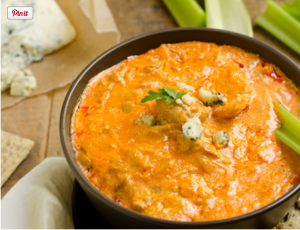 Have you ever been to a tailgate party or football viewing party without this Buffalo Chicken Dip? No? There’s a reason for that. It’s warm, spicy, gooey goodness on a chip.This recipe is from The Girl Who Ate Everything. 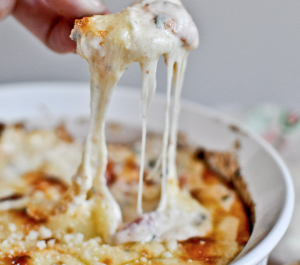 White pizza dip from How Sweet it Is. Amazing. 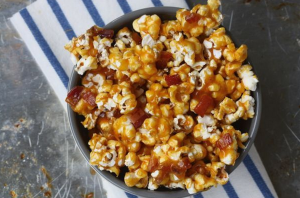 Spicy caramel bacon popcorn from A Cozy Kitchen. Because, bacon! 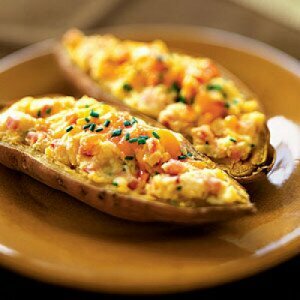 How amazing do these twice baked sweet potatoes from Health.com look? 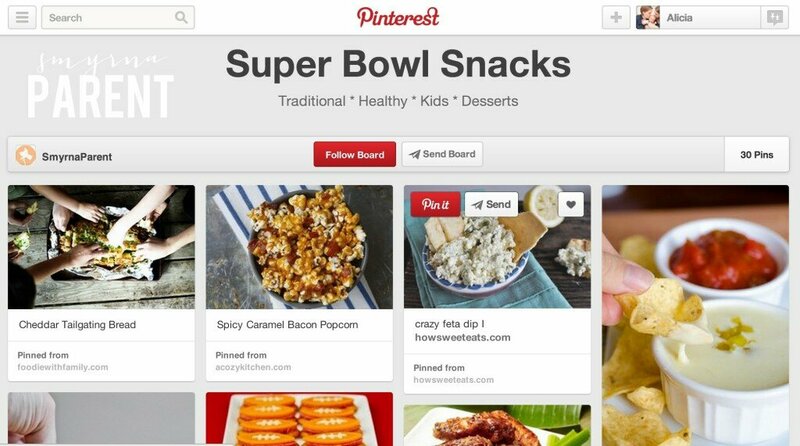 And healthy doesn’t mean you have to skip the wings. 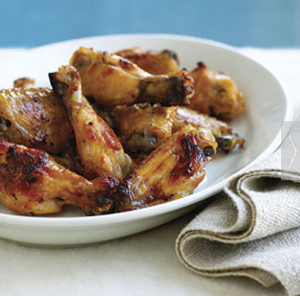 Check out these baked lemon wings also from Health. 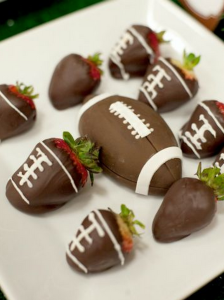 These chocolate covered strawberries from iVillage are fun for everyone, actually. 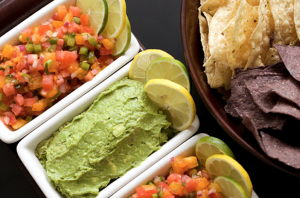 Nacho bars, pigs in a football and more from Chef Mom. 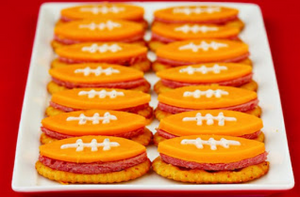 Crackers, pepperoni, cheddar cheese from Give Me Some Oven. This one was made for toddlers.